Hello, friends!! Welcome to my site. 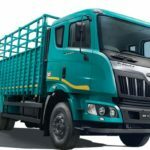 Are you planning to buy Ashok Leyland Dost Mini truck? 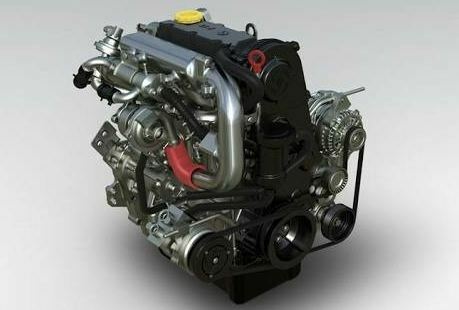 And Do you know about the Ashok Leyland Dost Price In India, Key Specification, Features, Mileage, and More? So you are at a genuine place. 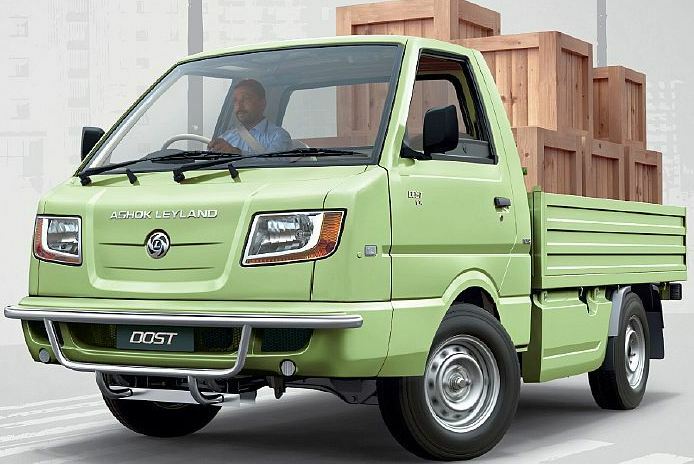 Here in this article of mine, I will tell you that all kinds of details information in details, it is very helpful to you for buy or sells this model Ashok Leyland Dost. Ok, Friends let’s start it. 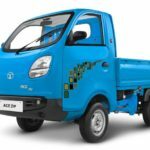 The Ashok Leyland Dost Mini Truck price is Rs. 5.3 Laks (Ex-Showroom). 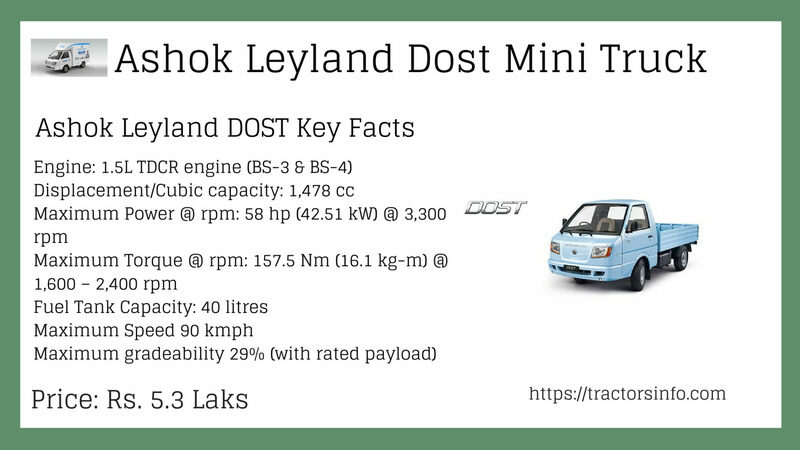 The Ashok Leyland Dost mini truck has a powerful and reliable engine; It’s main features such as 3 cylinder Turbocharged Diesel Common Rail (TDCR), 1478 cc(cubic capacity) engine that produce 58 horsepower at 3300rpm, and maximum torque 157.5 at 1600- 2400 rpm. 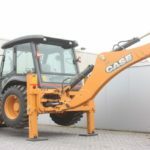 That well suited for the loading work and much more. 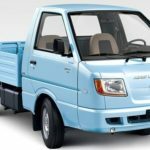 Here I talk about the Ashok Leyland Dost comfort features such as manual and power steering, Air conditioner, Mobile charging point (12 v), Driver seat adjustment, Sliding and reclining, Windshield washer, Coin holder and rear fender. That all features well suited for the Driver and co-driver. 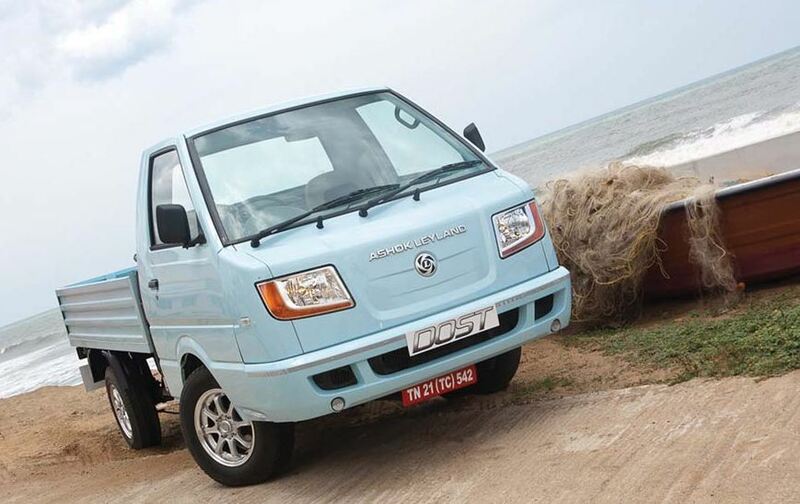 The Ashok Leyland Dost Mini truck outside look is stylish and so beautiful, Personly like it. It’s main features such as Single tone and dual tone instrument panel dashboard, PVC Fabric Seat cover material dual tone and Black front bumper. 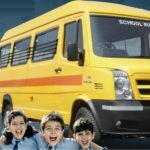 The Ashok Leyland company main focus on the safety. 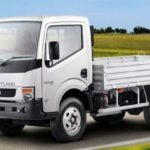 So it is designed the Dost mini truck and its main features such as Load sensing proportioning, valve with boost brake, front impact absorption bar, ELR seat belts for driver, and tubeless tire. This all features provide safety during the riding. 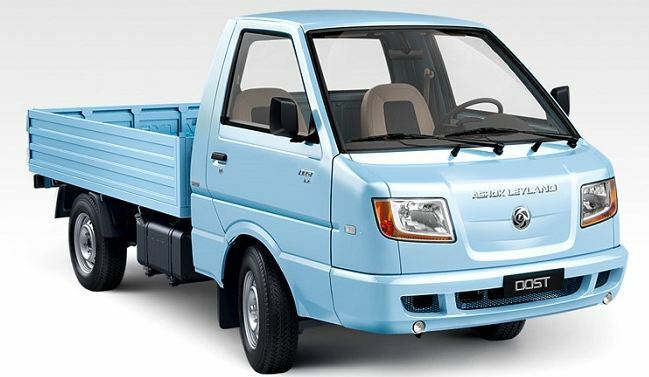 The Ashok Leyland Dost designed with four colors such as White, Light Blue, Irish Cream and Aqua Green so you can choose according to your choice. Hope you enjoy this article, but if you have any problem regarding this post, then please comment below in the comment box, you can also mail me. I will solve your problem solution as soon. Thanks for visiting and stay with me for more stuff like this friends.